The Turkish government has launched an investigation into 433 performers of all types for their support of the academics who signed a declaration on Jan. 11, 2016 denouncing curfews imposed in predominantly Kurdish districts in Turkey’s Southeast, the Cumhuriyet daily reported on Sunday. 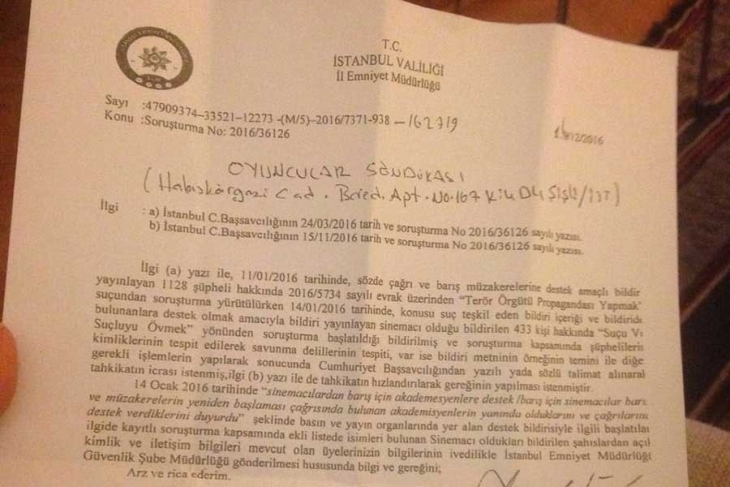 In the document sent to the Performers Union, the İstanbul police demanded the identity and contact information for 433 performers. This article originally appeared in Turkish Minute on Dec. 26.